Top keynote speakers from the industry, civil society and the textile supply chain will, together with many other speakers, be proving that the solution-oriented focus on the future use of water as a resource has gained global relevance for the industry. At its upcoming January edition, the Thinkathon, which is taking place at the same time, is presenting the Otto Group and Bikini Berlin as challenge hosts. 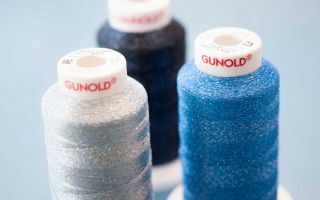 Technology, sustainability and innovation are important drivers of the fashion and textile industry that will revolutionise the sector and its processes and production methods. 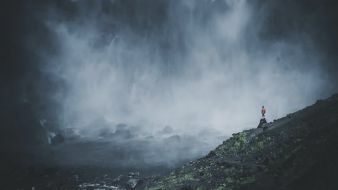 On 16 January 2019, international conference format Fashionsustain will be dedicated to precisely these topics, with a focus on the omnipresent challenges of sustainable water management currently facing the textile industry. 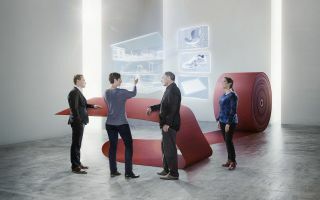 The conference, organised by Messe Frankfurt, will be showing how the interplay of collaboration and competition for new and sustainable technologies is leading to innovations that are driving the paradigm shift of the industry. 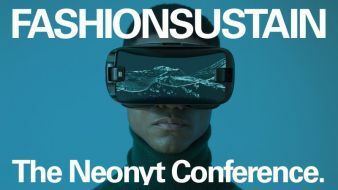 “For the third time in a row, relevant decision-makers from the industry will be presenting practical solutions, technological innovations and the latest market developments at the Neonyt Fashionsustain conference in January,” says Olaf Schmidt, Vice President of Textiles and Textile Technologies at Messe Frankfurt. “With our future-oriented conference format Fashionsustain, we are inviting all visitors to Berlin Fashion Week to come and enter into an interdisciplinary dialogue on truly sustainable concepts of fashion,” continues Schmidt. A global look at water as a resource, a look at cotton from the perspectives of both large-scale and small-scale farmers, a fashion heritage look at denim and an abstract, glocal look into the future of fashion – Fashionsustain will be dedicated to the complex topic of water in the fashion and textile industry; not one-dimensionally, but fourdimensionally. With her opening keynote “We Are Water. 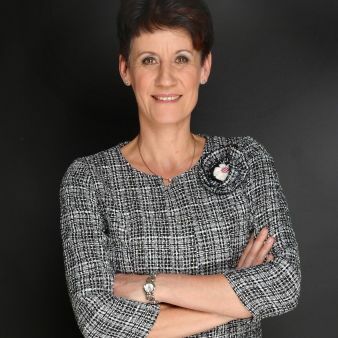 Inspiration & Respiration.”, Clare Press, book author and fair fashion activist, will be starting off the conference day with a strong and emotional appeal. In the first session, Fashionsustain will then take a critical view of the topic of water and examine it from a global level. Philipp Wagnitz, International Director of Freshwater Resources at WWF, will be highlighting and discussing the critical impact of textile production on inland waters together with various players from society, the fashion industry and the field of scientific research. Throughout the conference, Fashionsustain will also be delving into the high environmental impact of cotton and denim, and asking the provocative question: what would happen if an entire sub-sector of the industry were to really initiate the change towards sustainable value creation? Is that even possible? With an eye to finding solutions, a critical and open-ended dialogue will be conducted on the value-based transformation of supply chains and the limits of this change. A case study from Pakistan will also show how a water-intensive supply chain can be sustainably implemented in a country with an acute water shortage. In the subsequent session, Fashionsustain will really zoom in and raise the topic to a higher level of abstraction: cradle to cradle, ocean plastic, the social-economic impact of natural fibres and alternative crops with twice the added value, as well as innovative, technical recycled and viscose fibres will all be discussed in terms of their water-relevant aspects. The list of speakers includes Micke Magnusson, CEO of sustainable Swedish textile dye company Spindye, and Amira Jehia, cofounder of fair sweater label Blue Ben. The ideas think-tank of the future – the Thinkathon is a space for open exchange and creative thinking processes during the global hub Neonyt. In this collaborative design-thinking format, twice a year multidisciplinary teams develop neo-new approaches for the sustainability transformation of the fashion and textile industry. Industry experts work intensively on the tasks set by leading industry, retail and technology companies as well as associations and organisations, which revolve around the topics of fashion, sustainability, innovation and technology. In the shortest time and ensuring mutual confidentiality, the Thinkathon teams come up with highly innovative and industry-relevant solutions. The result is an interdisciplinary discussion about the future of fashion – today. In January 2019, the Otto Group and Bikini Berlin, among others, will be hosting Thinkathon challenges. 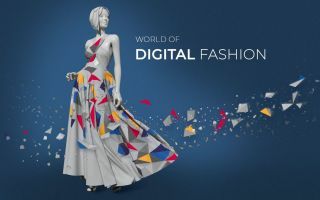 The Fashionsustain conference is held in cooperation with #Fashiontech by the Premium Group, which focuses on digital solutions for marketing and retail, as well as general digital market trends, and is also taking place at Kraftwerk on 15 January 2019. Neonyt, the global hub for fashion, sustainability and innovation (from 15-17 January 2019) is made up of the Neonyt Trade Fair, the conferences Fashionsustain by Messe Frankfurt and #Fashiontech by the Premium Group as well as the design-thinking format Thinkathon, the Neonyt Fashion Show, Showcases, the influencer and blogger event Prepeek, networking events and last but not least, the Neonyt Party. The hub is taking over from the former trade fair duo Ethical Fashion Show Berlin and Greenshowroom.